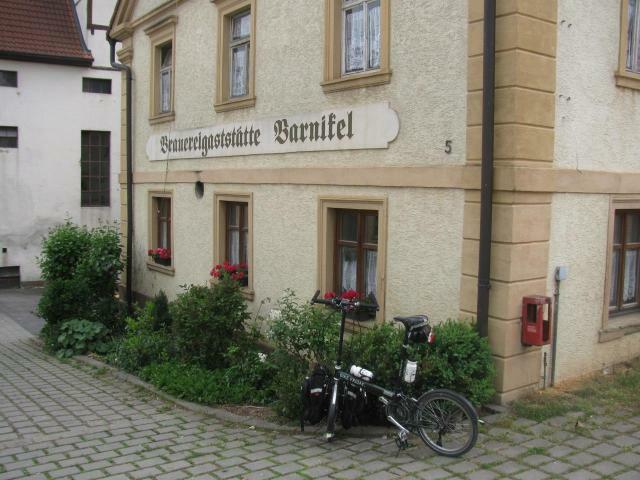 Barnikel is a must because of the old-world atmosphere and the very characterful beers. The Lager is on the soft side, while the Rauchbier is very rich in taste. But drink it on spot, or don't save it too long, it's not very stable. This place is a gem. Unforgettable Rauch and silky Lager. I must be missing something because I didn't think this place was that great. It definitely had some old world charm, but the beer I would say is average and the food wasn't the best. Maybe we hit it on an off night. The Rauchbier is GREAT! Light years better than Schlenkerla and still better than Spezial. Didn't try anything else b/c I was on a Radtour in the area. Left Bamberg to the south, made it to three Brauereien, headed east after Barnikel to p/u a train in Hirschaid. Really fun day. Rauchbier here was so good, I bought five to bring back to Bamberg. We visited the place yesterday night, expecting nothing, and were really overwhelmed by the charming brewery and its awesome oldfashioned products! Their Dunkles can only be compared with a similar tasting Dunkles from Vestenberg, the Rauchbier was miles better than Schlenkerla and the Vollbier was very drinkable. By the way, their Dunkles has 5.8% alc... A must to go to and enjoy!!! This brewery has belonged to the same family since 1366!! In-credible. The decor is of a standard Franconian countryside brewery, lots of wooden tables and grandmotherly comfort. The beers were sadly off when we visited, even the Lager which was vom Fäss. The bottled Dunkel was infected, but the Rauchzart was rich and tasty, although bothered by a parcel of diacetyl. Id like to come back if these issues are cleared up. The brewery is not located on the street where the bus will drop you off, but rather a side street right behind it. -Dark burgundy, with a ring of head to decorate. -Pleasant roastiness, caramel and amicable smoke live within a healthy body. -Butterscotchy currents evoke a possible diacetyl attack. -Subtle berries frolick around the maltiness once in a while. -I have a feeling here, after having 3 beers of theirs and reading other peoples comments, that their beers are terribly inconsistent. A shame, really. -Bready malt is inconvienced by approaching diacetyl. -A veil of head covers the clear golden gown. -Caramel sweetness in rather thin bodies dont exactly agree with my palate. -Puréed bananas, yellow apples, and French toast make a fun breakfast. -A ring of head circles the dark brown gown. -Some fruity tartness in the aroma startles and worries. -Caramel sweetness clashes with the squashed red fruit. -Feels like an actively carbonated red wine vinegar, or marinade gone awry. Charly and me dropped in this evening and had an interesting talk about the difficult situation of small family run breweries today with Mr. Barnikel. He wouldn`t want to change his brewing methods, even if he could sell his beer more easily then. A real idealist! Please everyone, drink his beer. It's one of the best! Had a Dunkles again and it was sooooo greaaaat!!! Our first stop on 11th November. A really old traditional inn. A must see. Inn looks like it hasn't changed much since 19th century. Old wood burning heater in centre of room. Had the Bock first. A wonderful beer;one if the best of the style I've tasted. Not too sweet but a lovely long lingering finish. Also tried the Rauch beer from bottles(not available on tap). Hve to say I would prefer the Spezial or Schlenkerla. Incredibly low in carbonation so it looks almost flat. A fine beer in its own right but couldn't drink more than one. Also tried the regular lager beer which was excellent. i wish to add my comment on the authenticity of this beer-walhala...a beer loving company visited the place last September...well,i have no words about this hidden gem.Yes,and MUST BE protected from the region,the state,the Bavarian government!We promise to be back,for the beers but also for the great family people of the Barnikels!See you again!